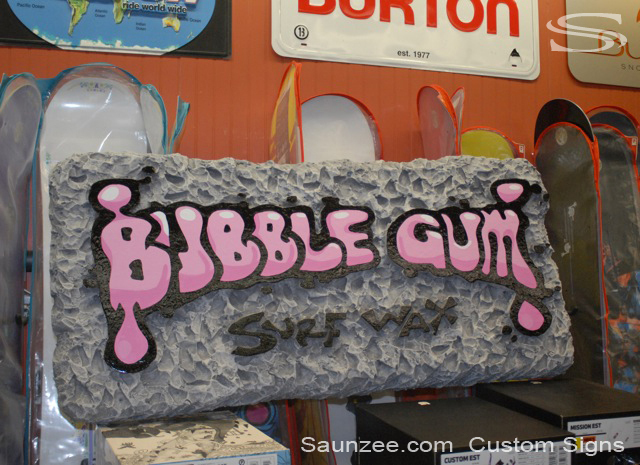 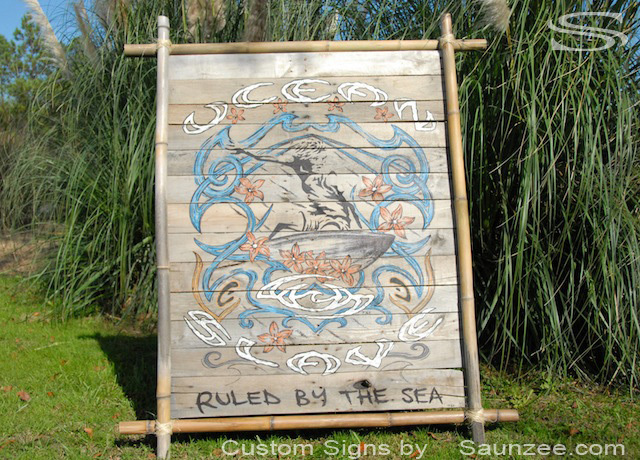 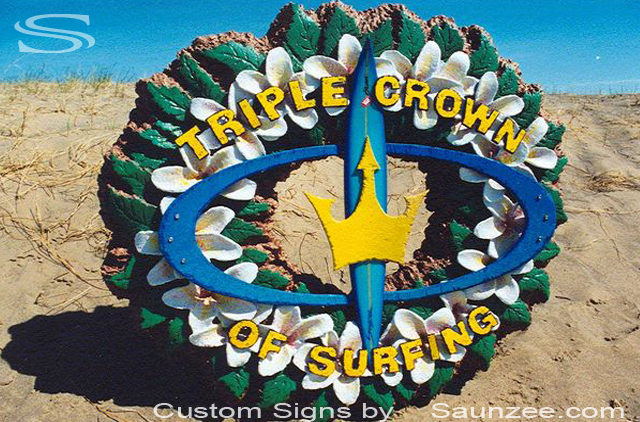 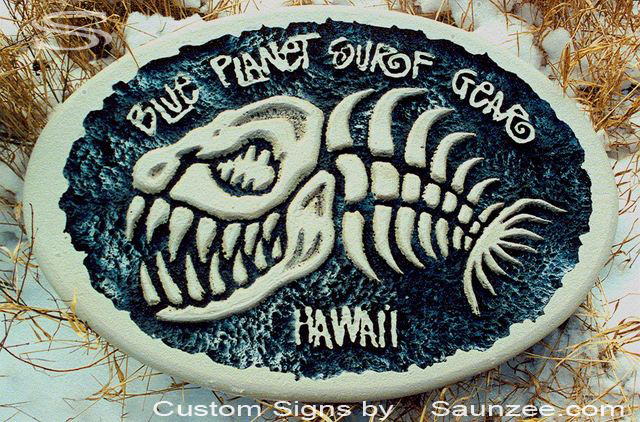 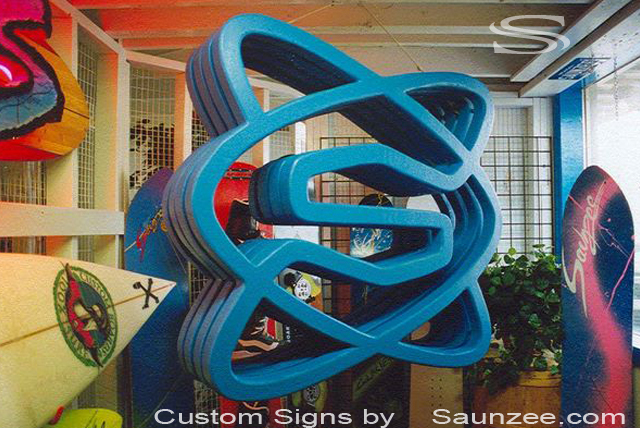 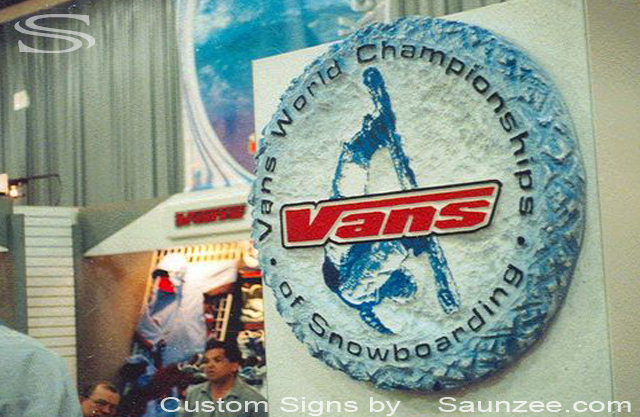 Size L94" x W1/2" x H46"
Ruled By The Sea surfing trademark Signage, SurfExpo surfer sign. 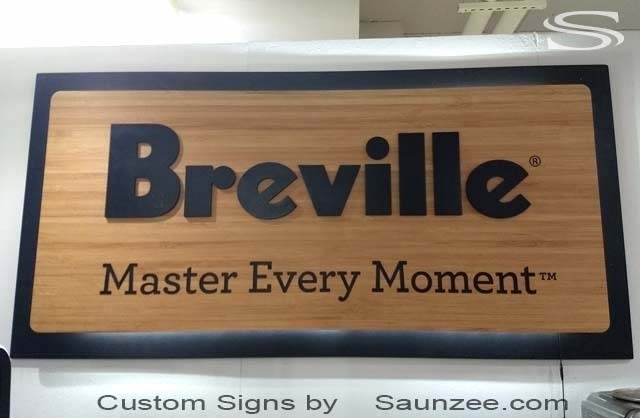 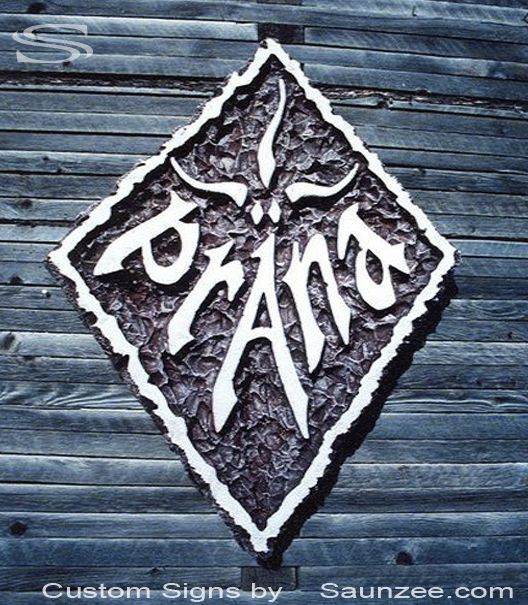 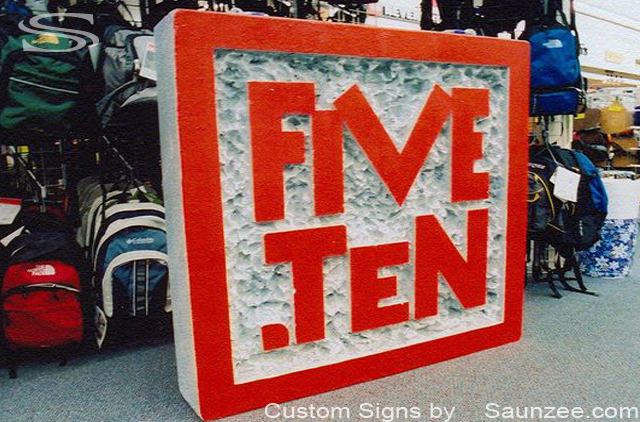 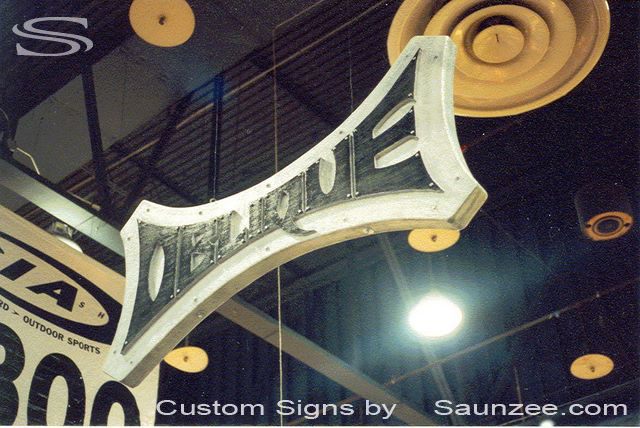 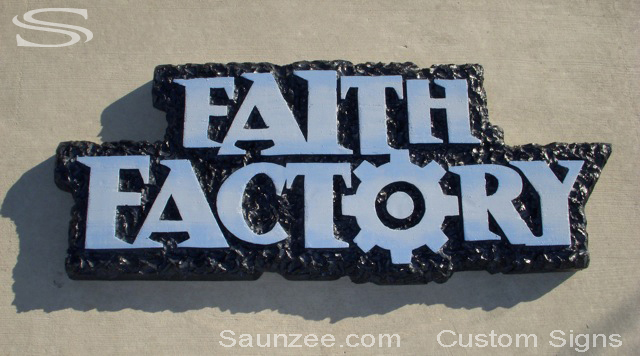 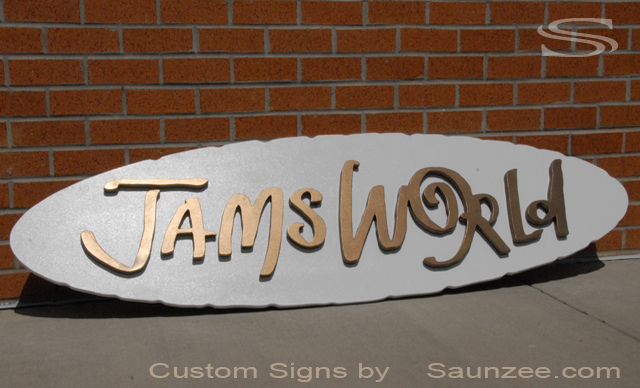 Sign for The Magic tradeShow in Las Vegas. 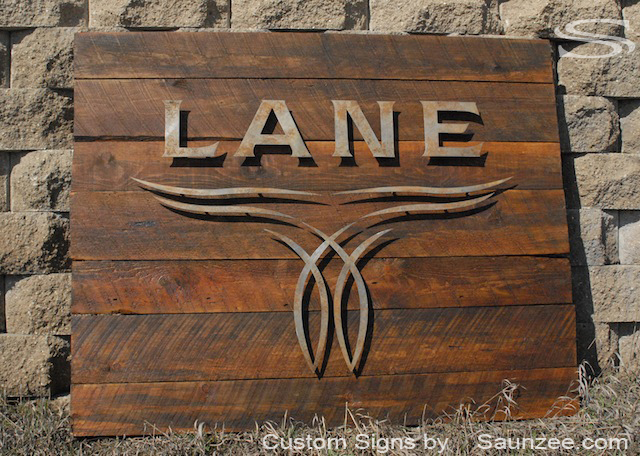 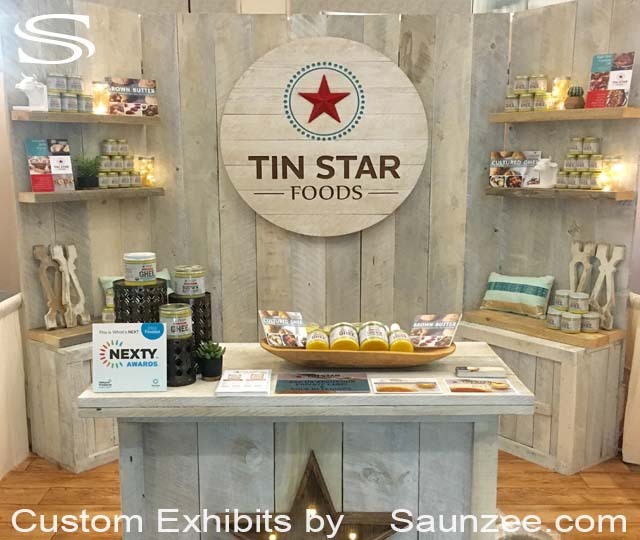 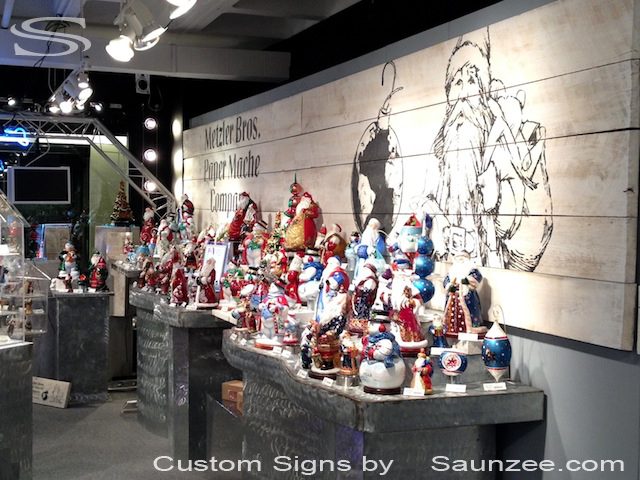 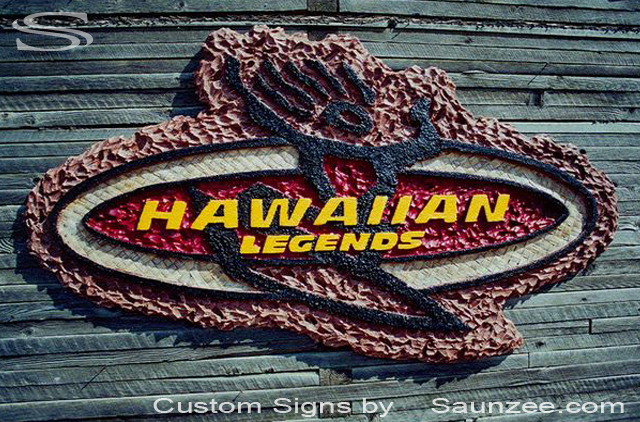 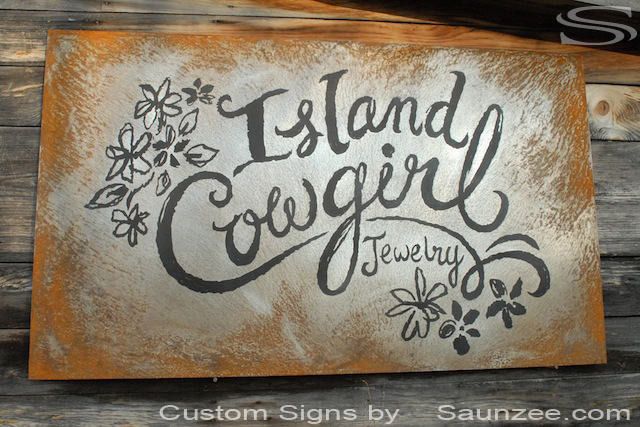 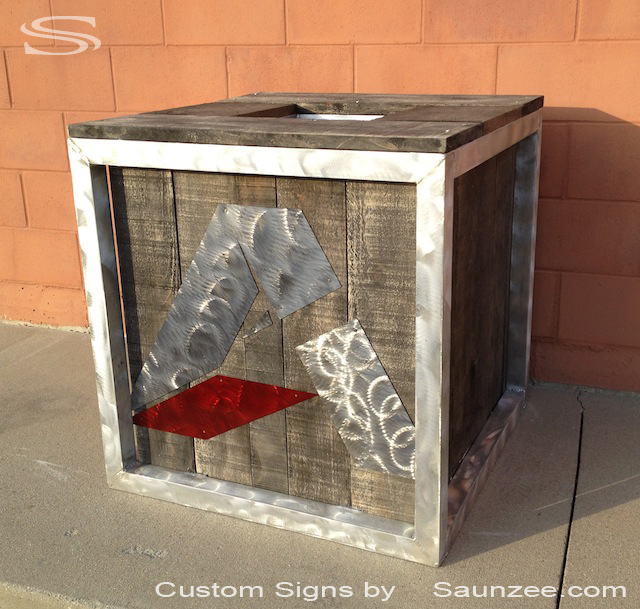 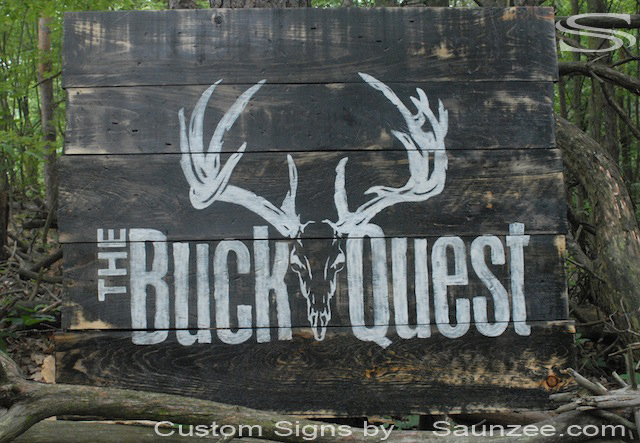 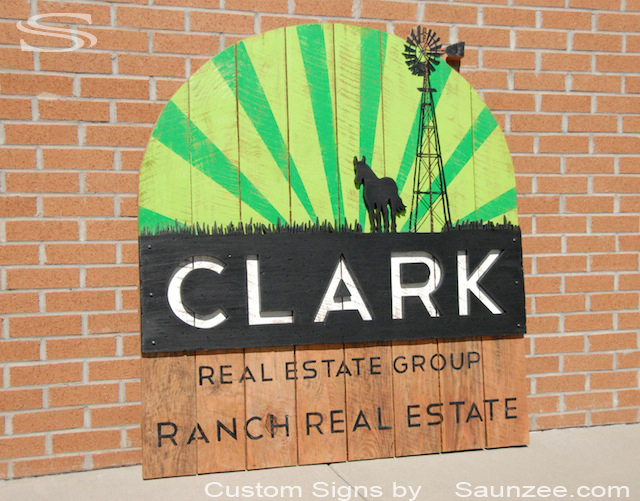 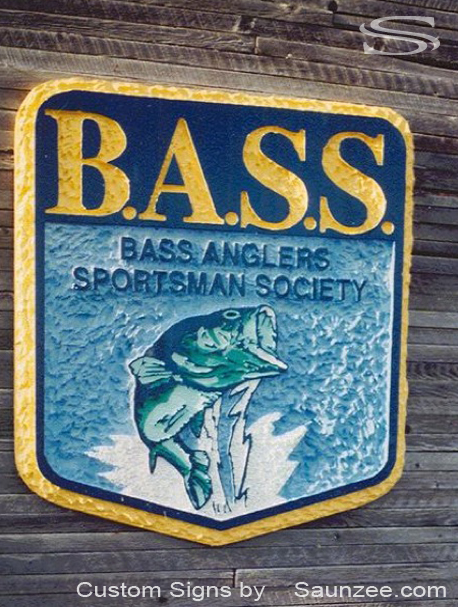 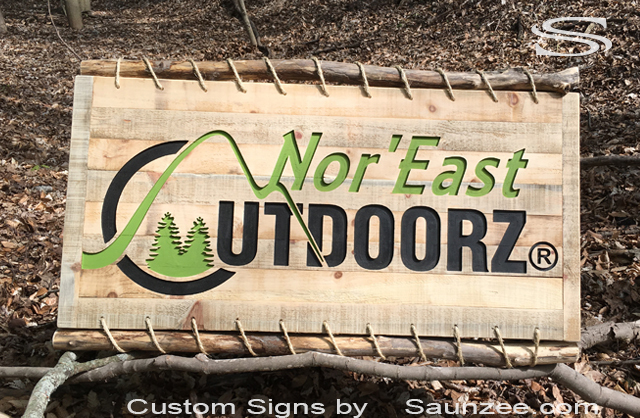 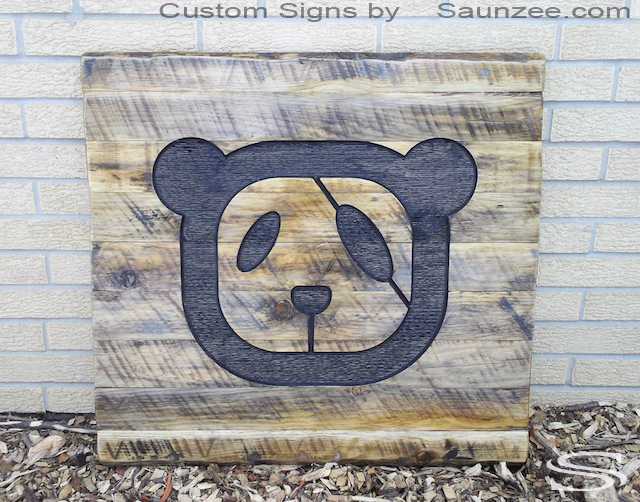 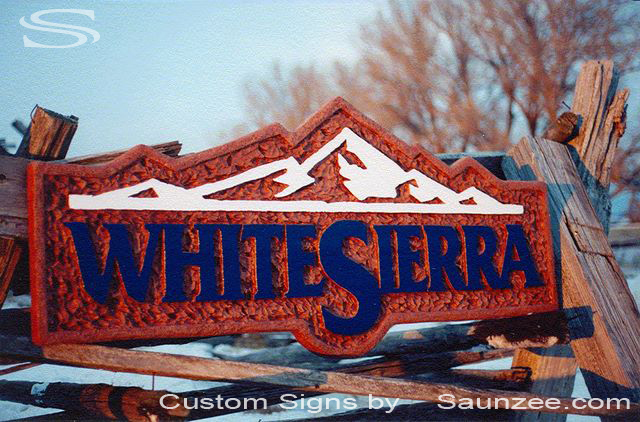 Size L8' x W6" x H4"
Advanced Tree Stand Signage Size L32" x W32" x H32"
signs, Surf gallery trade show sign, Trade fair surfing sign exhibition Size L52" x W3" x H20"
Rustic carved wood look booth exhibiting signage, For the Outdoor Retailer Traidshow in Salt Lake City. 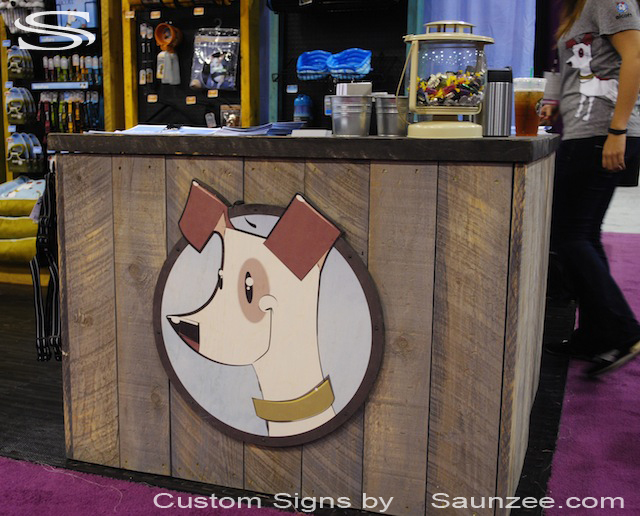 TtadeShow exhibitor signage, Plywood cutout signs. 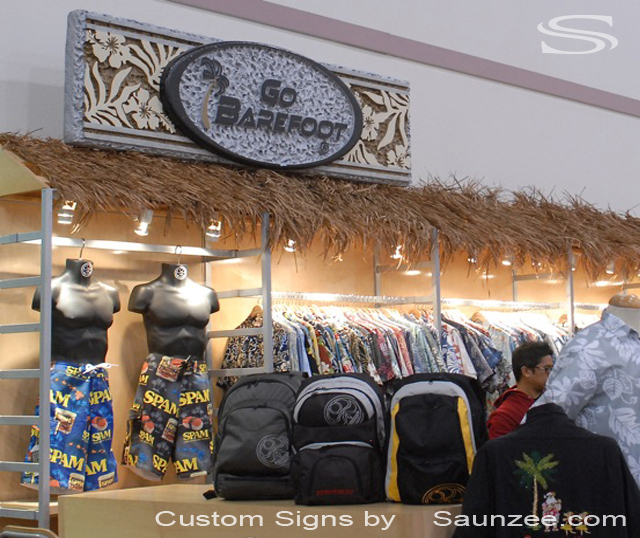 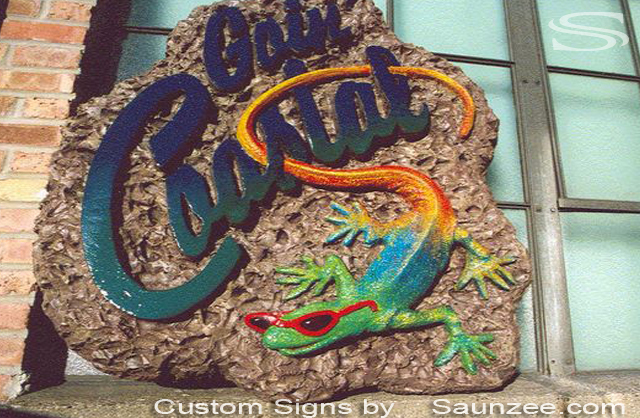 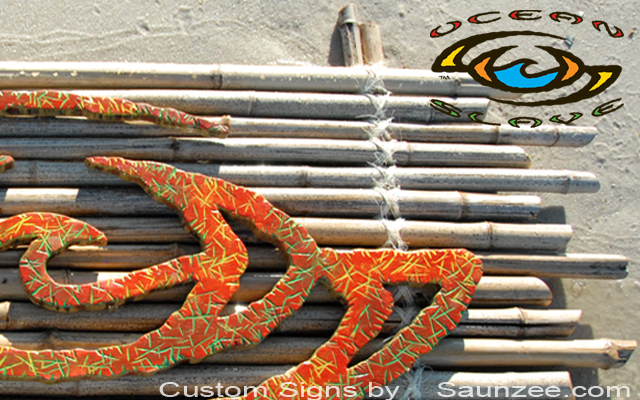 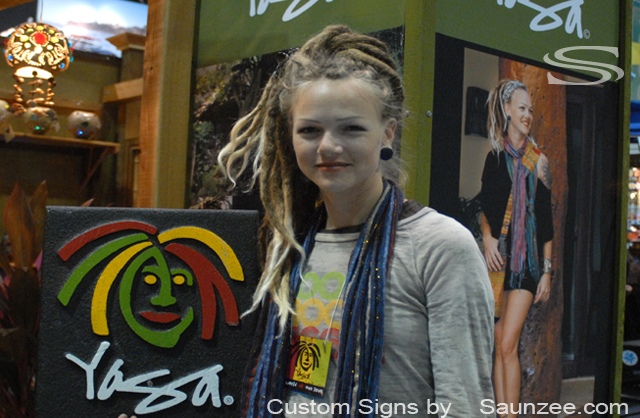 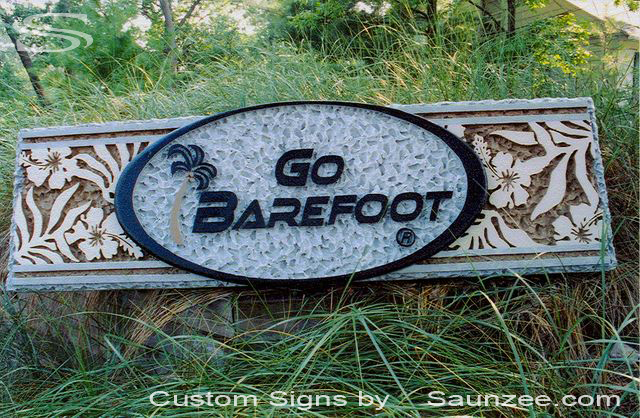 L6' x W2" x H18"
Go Barefoot Sign - Exhibiting at Surf Expo TradeShow. 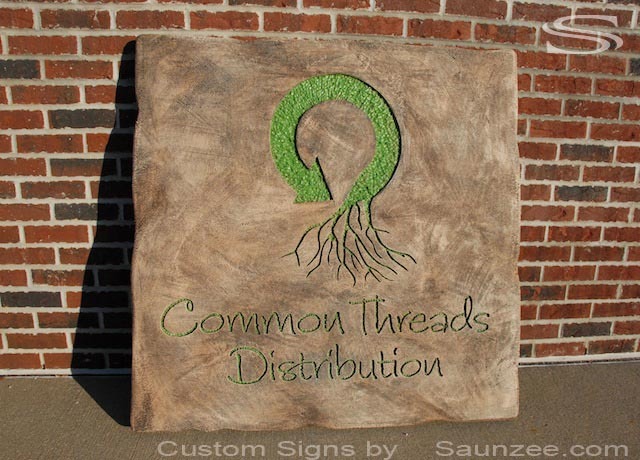 lightweight signage and displays, Common Threads Distribution booth sign.